If we are looking for professionals who work with certain technologies (for example, Linux, Selenium, Tensorflow, or NetSuite) and have not been able to find enough to cover the demand, how can we find more? If we know that a company uses a particular technology, then the employees who are on a team that uses the technology are likely to use it too. That includes professionals whom we won’t find online by the keywords. What are the largest companies that use Selenium for automated testing? Which companies use Tensorflow for deep learning? 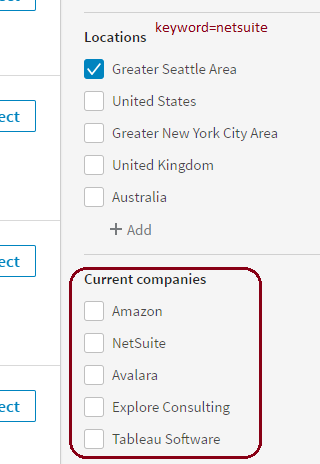 Which companies in Seattle use NetSuite products? Look at job posts. 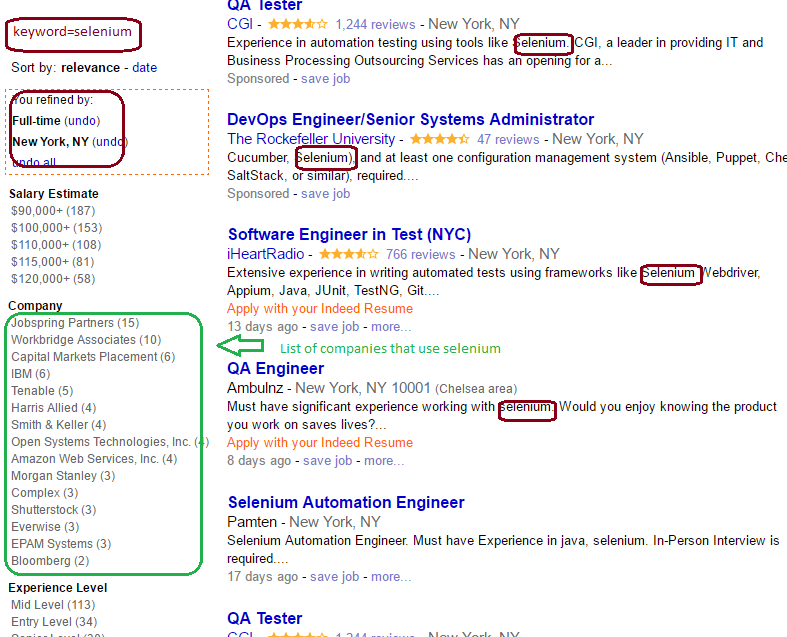 Here is an example job search on Indeed.com – full-time in New York, with Selenium. See the list of identified companies circled in green. 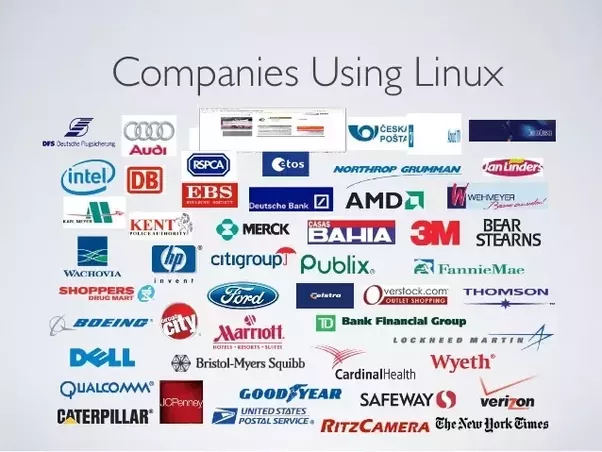 These companies use Selenium. We can expect someone who is in the testing department to use Selenium even if they don’t say that on their LinkedIn profile or do not have that profile at all. 2. Search on a social site with a large number of target professionals. This could be LinkedIn or XING or an industry-oriented social site. If we search for people on LinkedIn using a technology keyword, we won’t find “everybody” – but we will find many profiles, which, in turn, will “tell us” about potential target companies. Don’t miss the upcoming webinar with Martin Lee – Recruitment Research – What, Why and How!